Women have been shamans since time immemorial, not only because women have innate intuitive gifts, but also because the female body is wired to more easily experience altered states, such as during the process of birth. Whether female or male, the altered states produced by psychedelics and ecstatic trance expand our minds to tap into and enhance our feminine states of consciousness as well as reconnect us to the web of life. 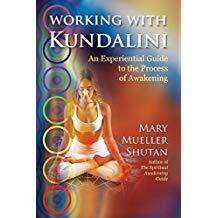 In this book, we discover the transformative powers of feminine consciousness and altered states as revealed by contributors both female and male, including revered scholars, visionary artists, anthropologists, modern shamans, witches, psychotherapists, and policy makers. 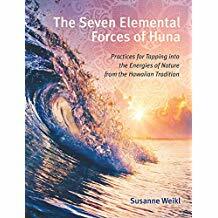 The book begins with a deep look at the archetypal dimensions of the feminine principle and how entheogens give us open access to these ancient archetypes, including goddess consciousness and the dark feminine. The contributors examine the female roots of shamanism, including the role of women in the ancient rites of Dionysus, the Eleusinian Sacrament, and Norse witchcraft. 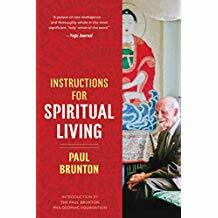 They explore psychedelic and embodied paths to ecstasy, such as trance dance, holotropic breathwork, and the similarities of giving birth and taking mind-altering drugs. Looking at the healing potential of the feminine and altered states, they discuss the power of plant medicines, including ayahuasca, and the recasting of the medicine-woman archetype for the modern world. 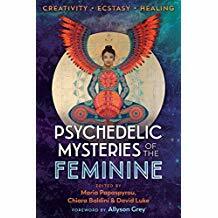 They explore the feminine in the creative process and discuss feminist psychedelic activism, sounding the call for more female voices in the psychedelic research community. 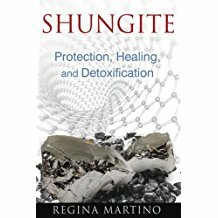 Sharing the power of “femtheogenic” wisdom to help us move beyond a patriarchal society, this book reveals how feminine consciousness, when intermingled with psychedelic knowledge, carries and imparts the essence of inclusivity, interconnectedness, and balance our world needs to heal and consciously evolve. Available April 2019, Pre-Order yours today!